This cache is an addition to the SideTracked series and is located close to Bagshot station. The co-ordinates above, are not for the location of the cache, but for the entrance of the station, which is also the starting point of my Welcome to Bagshot cache. 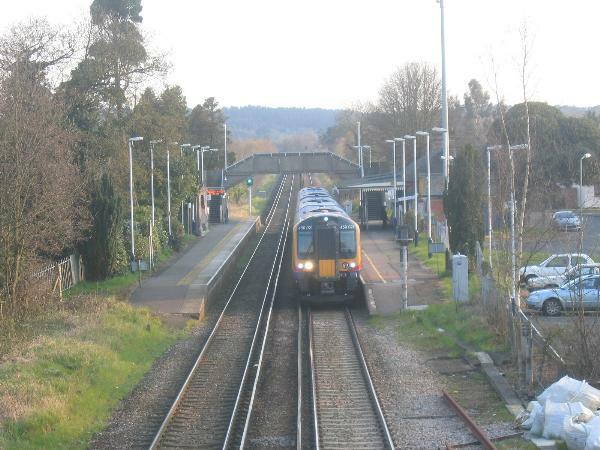 Bagshot station is situated on the Ascot to Guildford line. The "SideTracked - Bagshot" cache is a magnetic nano and is attached to the ironwork of the bridge from which the photograph below was taken. Please note, that you do not need to trespass to reach the cache. And please could you bring a pen/pencil to sign the log.